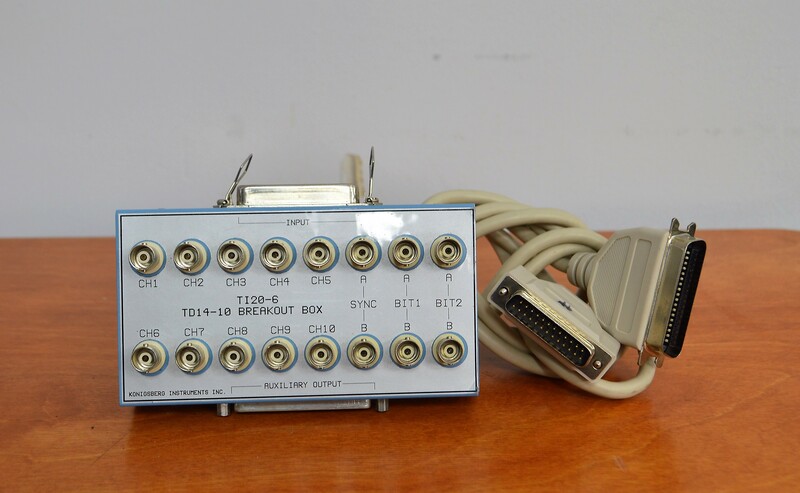 Konigsberg TD14-10 Breakout Box Pressure TI20-6 Physiology . New Life Scientific, Inc. This equipment was received with an animal behavior system. No testing was done. For our customer satisfaction we offer a 90 day warranty in case it doesn’t perform to your specifications. Our on-site technicians visually inspected, no testing was done.